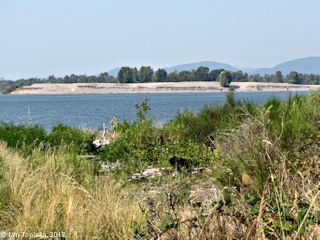 Click image to enlarge Tenasillahe Island as seen from Puget Island. Image taken September 17, 2012. 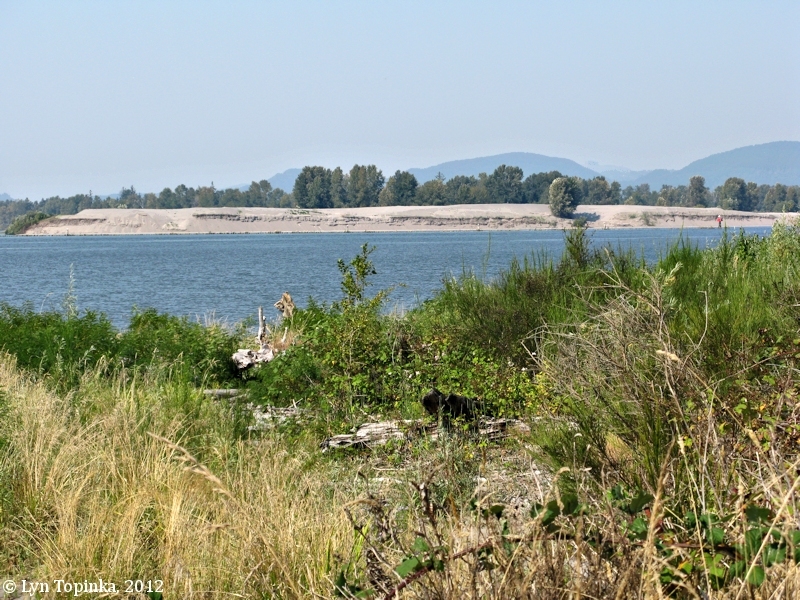 Tenasillahe Island is located in the middle of the Columbia River at River Mile (RM) 35, just downstream of Puget Island. 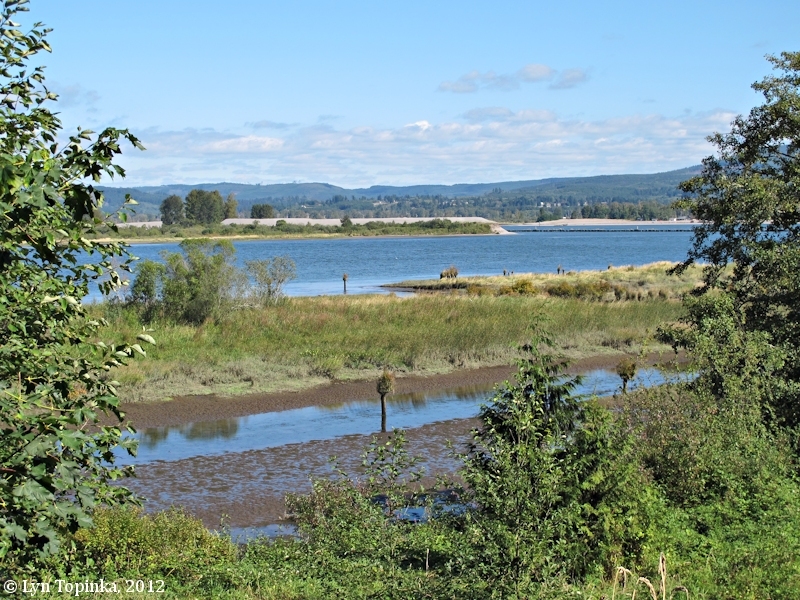 The Clifton Channel separates it from the Oregon shore and the mainstream Columbia separates it from the Washington shore and the Julia Butler Hansen Refuge for Columbian White-tailed Deer. Tenasillahe is one of the many islands in the Refuge. On the downstream side of Tenasillahe is located Welch Island, one of the many islands in the Lewis and Clark National Wildlife Refuge. The Red Slough separates the two islands. In 1792 Lieutenant William Broughton, of the George Vancouver expedition, passed by Tenasillahe Island on October 25, 1792. In 1805 and 1806, Lewis and Clark called Tenasillahe Island and a nearby smaller island (today's Welch Island) the "Marshy Islands", a descriptive name rather than a naming of the islands. In 1841, Charles Wilkes of the U.S. Exploring Expedition used the name "Katalamet I." for Tenasillahe Island. The 1892 U.S.C. & G.S. Topographic "Columbia River Sheet 3" shows "Tenasillihee I.". On the east side of the island is the "Tenasillihee Fishery". Tenasillahe Island's name is composed of two Chinook-jargon words, "tenas," meaning small, and "illahe," meaning land. In 1914 the U.S. Board of Geographic Names made "Tenasillahe Island" the official name. Previous variants seen were "Tenas Illihee Island", "Tenas-illihee Island", "Tenasillihee Island", and "Tennassillihi Island". 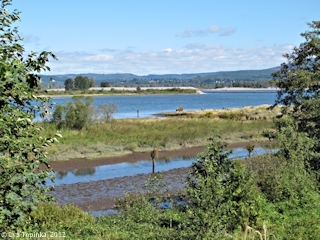 Click image to enlarge Columbia River as seen from the Clifton Road, Oregon, with Tenasillahe Island. In the distance Tenasillahe Island is to the left and Puget Island is to the right. The settlements of Clifton would be left (downstream) and Bradwood would be right (upstream). Clifton Channel is in the middleground, left. Jetty visible on right juts off Tenasillahe Island. Image taken September 22, 2012.